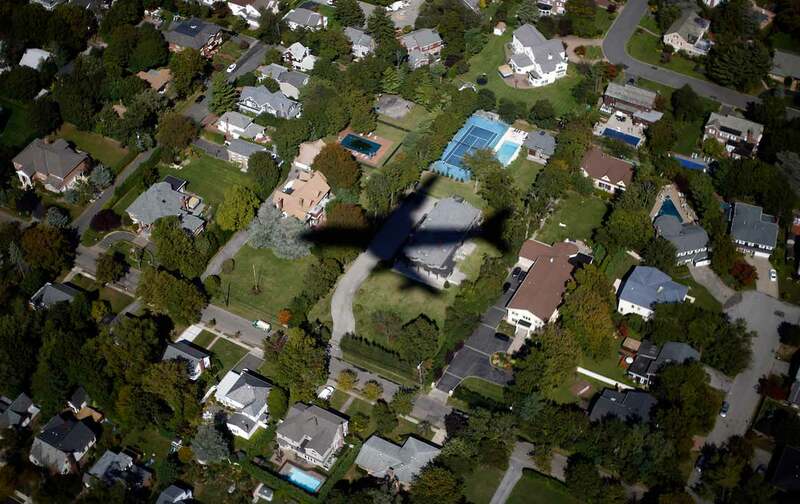 Why Are America’s Suburbs Becoming Poorer? Contrary to popular perception, it’s not just because poor people are moving out of the cities. Over the past quarter-century, tens of millions of American families have made the big move to the suburbs. They probably didn’t expect that poverty was moving in right behind them. New research shows how the landscape of poverty has shifted dramatically since the 1990s, from stereotypical urban “ghettos” to the boarded-up yards of faded blighted commuter towns. Poverty rates across the country have grown at a markedly faster rate in the suburbs than in cities, upending common wisdom about why and where people are getting poorer. Since the early 1990s, poverty has grown by 50 percent, leading to a doubling of the number of poor folks in places previously associated with soccer fields and shiny malls. Contrary to stereotype, the suburbs aren’t getting poorer just because poor people are moving in. Rather, suburban towns are eroding from within, and are often structurally less resilient than many metropolitan hubs in adapting to economic recession, deindustrialization, and budget cuts. The common perception that “new poverty” is “invading” surrounding towns is primarily a suburban myth, fueled by underlying racial and class tensions. “The notion that poverty in suburbs is new or different is tied to the impression that white suburbanites are feeling poverty for the first time in recent years,” Allard writes. But rising suburban poverty generally isn’t due to poor folks moving out of cities. Rather, the implosion of unsustainable suburban development has finally become impossible to ignore. What is perhaps most surprising is how little divides the city and the suburb in terms of socioeconomic composition: The urban and suburban poor have similar levels of education, similar levels of employment, and single-parent household rates are similar as well, countering the image of poor single mothers being an urban (often black or Latino) phenomenon. And housing segregation and discrimination have led to a racialized segregation of poverty in suburbs as well as cities. While the vast majority of blacks and Latinos have historically lived in high-poverty suburban communities, over time, concentration of poverty has grown acutely for black and Latino suburban populations, reproducing patterns of disadvantage commonly seen in cities. Allard’s study shows that, parallel to cities, suburbs that have seen sharp increases in concentrated poverty haven also experienced the most acute growth in unemployment and low-wage earners, and suburban regions where there’s been a spike in high-poverty neighborhoods have seen their total workforces hollow out over time, making long-term recovery even harder. But some dimensions of social deprivation are deeper in the suburbs because, in contrast to more dynamic city infrastructures, traditional institutions of social welfare and charity aren’t reaching the areas where the poor are sinking fastest. Suburban families are both structurally and culturally disadvantaged in accessing many services. Unlike denser and more socially vibrant cities, vast suburbs make it harder to travel to sources of help—it might take a full tank of gas to travel to a food bank, or to look for a job in the next town, for example. And for individual families, maintaining community cohesion has become a challenge as economic hardship leads to growing social alienation, particularly as jobs evaporate and basic services like schools and local charities unravel. Although suburban households might be eligible for some federal benefits like food stamps, lawmakers and charities tend to simply overlook suburbs as a source of economic deprivation. Local governments often lack the resources and strategies needed to not only counter poverty but increase opportunities for economic revitalization. Allard writes, “Our impression that poverty isn’t a suburban problem often translates into weaker popular support for the safety net overall and lower safety net capacity in suburbs.” Media coverage of urban poverty leads to blind spots in perceptions of, for example, rising levels of white poverty, adding to persistent levels of black and brown poverty. Suburban life has traditionally revolved around building isolated fiefdoms of prosperity. But to revitalize the suburbs, integration of social support systems is key. Ultimately, suburbs will need to learn what cities have had to realize naturally: The poor aren’t exceptional in any community, and dealing with the roots of poverty requires coming together instead of pulling apart.